If you are in the beginning stages of developing your business, applying for loans or looking for investors, then you have no doubt begun the process of creating a business plan. 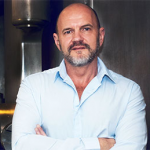 But according to growth and funding strategist, Ron Flavin, the majority of business plans aren’t worth anything, because they are too generic. I asked him to share some of his insights about developing a business plan that has strategic value. What are the Most Important Reasons for Developing a Business Plan? Developing a strong business plan is a valuable learning experience for founders and entrepreneurs. Overall, less than 3% of all startups receive funding through venture capital or angels. A validated business model presented in a well-developed, comprehensive business plan can give startups, early-stage and growth firms the competitive edge they need to be part of that elusive 3%. Facilitate the due diligence process after the initial pitch has been made. What is the Biggest Misconception of How to Create a Business Plan? The biggest misconception about business plans is that all you have to do is use a software program or template. Far too many people believe that they can look at AirBnB, Uber, or any other wildly successful startup and 'copy' their business plan. That doesn't work, ever. Investors and funders will always spot a generic, software-generated or cut-and-paste business plan in an instant and toss it aside. 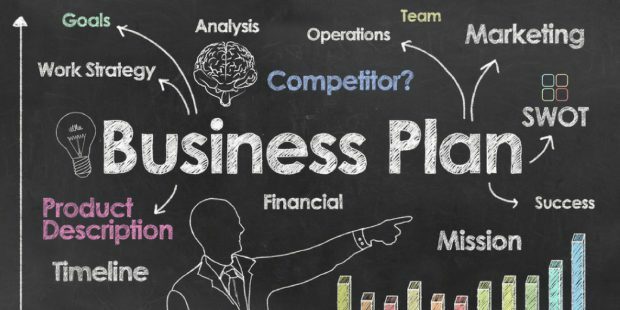 #Smallbiz owners, @rflavin shares how to create a #business plan #investors can't pass up. What are the Most Important Considerations to Keep in Mind When Creating a Business Plan? The executive summary is the most critical element of a well-developed business plan. You could have an amazing business plan that hits all the marks, but if you don't have a strong executive summary, the plan will never get read. Every day, investors and funders are bombarded with proposals, pitches, and business plans. At best, each document might get 30 seconds. On average, they probably get only 5-15 seconds of review. If you do not immediately grab them and concisely summarize the opportunity on one page, you are lost. And keep in mind, the executive summary should be written last. A strong writer should be part of the team, but it takes more than creative words, buzzwords, and jargons to develop a fundable business plan. A strong business plan looks at the business model from a 360-perspective (including that of potential funders or investors) and is not just fluff or marketing speak. Expect the business plan development process to be challenging and at times, difficult. Developing a strong business plan requires research, introspection and the ability to look at the downside and accept criticism. Most entrepreneurs look at business plan development as an afterthought. That perspective is flawed. An entrepreneur committed to getting funded must be directly involved and should be willing to bring outside perspectives with business model validation experience into the process. A strong business plan should be developed as a Goal Achievement Action Plan first. Afterward, the various elements of the plan are integrated into the various plan components (e.g., go-to-market strategy, operations plan, etc.). This basically means a holistic, systemic approach first, then integration into the business. I don't like a step-by-step process where you walk through each of the components below in an orderly fashion. The big picture should be created first. What are the Main Ingredients that Comprise a Business Plan? What do Funders and Investors Look for in a Business Plan? A strong team capable of building a sustainably profitable business. Even the greatest business idea will implode under the leadership of a flawed leadership team. A strong, capable team can make even a mediocre idea a huge success. A problem worth solving that offers a significantly large profit opportunity. A validated business model. Most business plans are for the most part fluff with little substance. Investors and funders want to see a well-developed business model that doesn't just discuss the concepts supporting its assumptions but validates them. An exit strategy that exceeds minimum ROI threshold. Each investor has specific ROI expectations - if he or she doesn't see that the business model is going to meet those expectations, then the deal is over before it gets started. That's why research is key. When preparing a business plan, founders need to learn and understand the expectations of their targets. If you need more information about creating a killer business plan that works for YOU, contact Ron Flavin here.